NYC Parking Production Assistants (PPAs), who voted unanimously in February to join CWA Local 1101, have come to a tentative agreement on their first union contract! The life-changing, precedent-setting contract will bring substantial wage increases, healthcare benefits, retirement security, and a foundation to build on for the future for more than 800 workers. PPAs are employed by ABC, CBS, NBC TV, NBC Cable, HBO, and SONY, and they secure parking in the New York City area for film and television productions – usually arriving 12 to 24 hours prior to production and working through the night in their personal vehicles to ensure that parking spaces are secured for production vehicles and equipment. The work requires PPAs to spend long hours alone, overnight, usually without access to a bathroom, and risk violent altercations with drivers seeking parking. Prior to joining CWA, they were the only group of workers in the multi-billion dollar film and television industry who were not union members. Members worked hard to mobilize for a contract that provides workers with the respect they deserve and treats them in a similar manner as the rest of the unionized workers in the industry. NYC Parking Production Assistants (PPAs), who voted unanimously in February to join CWA Local 1101, have come to a tentative agreement on their first union contract! A delegation of community leaders visited the offices of the Daily Hampshire Gazette this week to deliver a petition of support for the workers' efforts at the Gazette and the Valley Advocate to win union recognition with NewsGuild-CWA. The group, led by State Senator-Elect Jo Comerford and organizer Rose Goldstein Bookbinder, included other elected officials, clergy, subscribers, former editors, and other former employees, professors, students, and union members. "We depend on the staff at both the Gazette and the Advocate to work every day to bring us the news that we need to ensure that critical local, regional, state, and national issues see the light of day," Comerford said in a statement. "The staff of both papers deserve to have the support they need to do that job most effectively. With all this in mind, I urge Newspapers of New England, the parent company, to voluntarily recognize the union." A delegation of community leaders gathered outside the office of the Daily Hampshire Gazette to present a petition in support of workers’ efforts to form a union. AT&T Mobility technicians continue their organizing push across CWA District 3. After learning of their coworkers' efforts in Tennessee and Louisiana to join CWA, a unit of 50 AT&T Mobility cellular and switch technicians this week won union recognition. The efforts were supported by the Georgia CWA Local Presidents including Ed Barlow, 3204; Dwight Meggs, 3201; Shane Peterson, 3205; Robert Fordham, 3220; along with CWA Local 3204 Organizing Committee Co-Chair Shelia Messamore and ATTM Cellular Technician and CWA Local 3509 Organizer Sedgerick Lee. 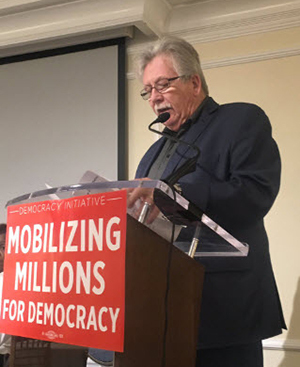 CWA, along with a diverse group of 14 worker, consumer, and rural advocacy organizations, sent a letter this week calling on Reps. Jerrold Nadler (D-N.Y.) and Frank Pallone (D-N.J.) to hold hearings in early 2019 on the proposed merger between T-Mobile and Sprint. CWA asked the Congressmen, who are expected to chair key committees in the next Congress, to examine the deal for stronger antitrust enforcement, protecting consumers, promoting competition, and standing up for American workers. As the public learns more about the likely effects of the merger, opposition continues to grow. After CWA and others began raising questions about the companies' claims about the public benefits of the merger, T-Mobile and Sprint filed new arguments with the Federal Communications Commission that focused on the need to compete with AT&T and Verizon rather than on building 5G networks and bringing high-speed broadband to rural America. Approximately 400 children are infected with HIV every day. Together, we can stop this. 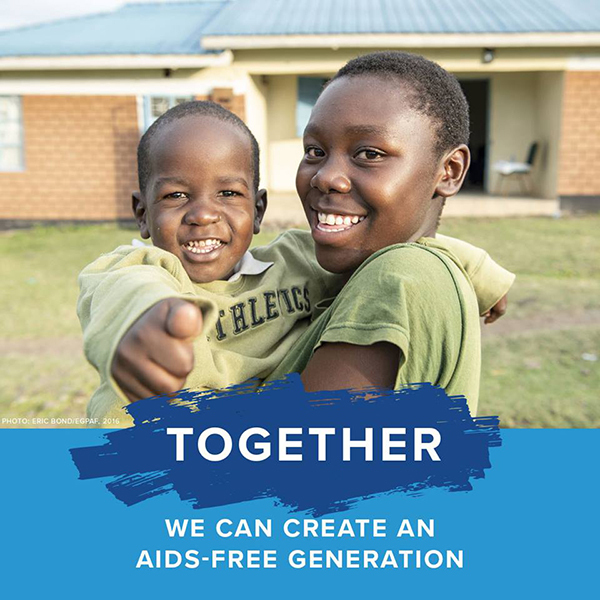 CWA and the Elizabeth Glaser Pediatric AIDS Foundation (EGPAF) have been partners for an AIDS-free generation since 1990, bringing hope to mothers and children around the world living with HIV. With CWA's help, EGPAF has made incredible progress. Since the inception of EGPAF's work in Africa, EGPAF has reached more than 27 million women with lifesaving services, such as HIV counseling, testing, and treatment, to promote and protect their health and to prevent transmission of HIV to their babies. As World AIDS Day – December 1 – approaches, learn how you can help here.